From NECA. 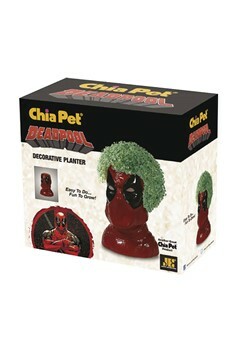 Chia Pet is a fun and amusing gift for any age and any occasion. Easy to Do … Fun to Grow! You'll see a full coat in about 1-2 weeks, and you can reuse your Chia indefinitely. Simply replant with Chia seeds packets (extra seeds included) or similar herb seeds such as basil, alfalfa, marjoram or thyme. 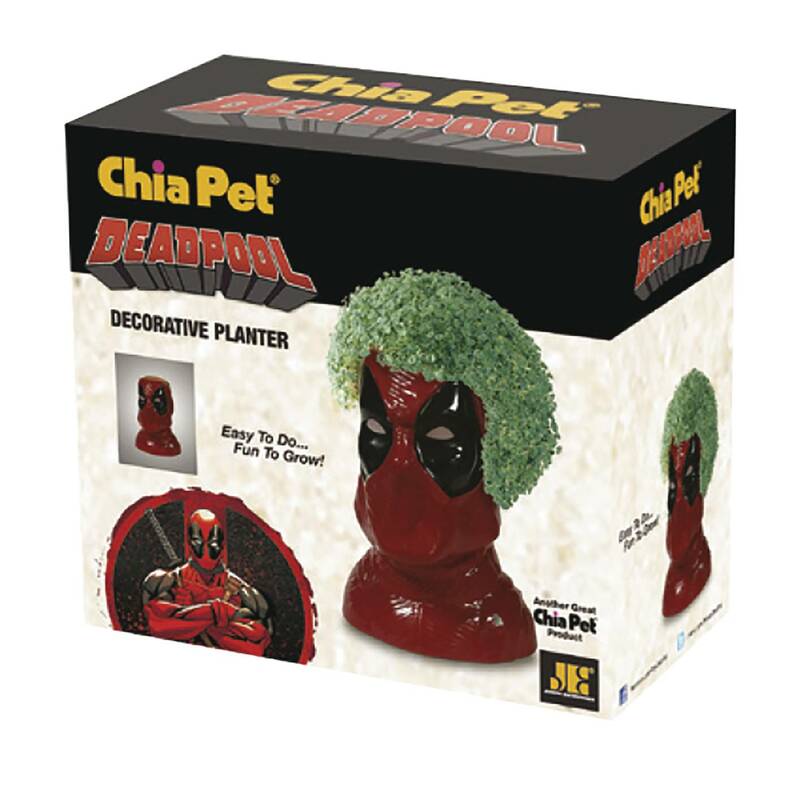 Package contains a Chia Handmade Pottery Plante, Chia Seed Packet for 3 Plantings, Convenient Plastic Drip Tray, and Planting & Care Instructions Sheet..